Donnie Heiduck is a Detective and Crime Scene Investigator with the Laramie County Sheriff’s Department. His career in law enforcement started with the Cheyenne Police Department in 1979 and he has served in the same capacity in the Laramie County Community since then, working as Police Patrolman, Dispatcher, Reserve Deputy, Patrol Deputy, Detention Officer, Court Security Officer, and now in his current assignment. Detective Heiduck serves in a number of capacities for the Sheriff’s Department including community safety training, public awareness and community advocacy programs. 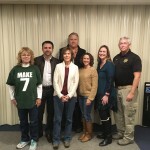 Law Enforcement has evolved to incorporate the strategy of community policing, which highlights prevention and education and the DUI Victim Impact Panel is a positive creditable example of that particular premise. 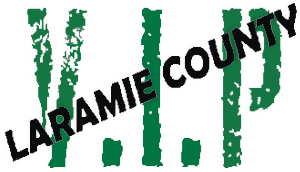 He has served on the Board since 2008 and inituiated the DUI VIP Scholarship at Laramie County Community College. Detective Heiduck is currently serving as the elected Council President since 2016. John Pederson is currently the Staff Investigator for the District Attorney’s Office in Laramie County. John’s Law Enforcement career began in 1990 with the Cheyenne Police Department where he has worked as a Patrol Officer, Traffic Officer, and Detective. John retired from the Cheyenne Police Department in 2017 with 27 years of service. John worked in several specialty areas while employed there, including Field Training Officer, Crime Scene Technician, and Accident Reconstructionist. John joined the Laramie County DUI Victim Impact Panel Council in 2007, and has been serving as the elected Treasurer since 2008. Lynn Annear worked in both outpatient and inpatient settings as an addiction counselor, and was the director of a residential treatment program. In addition, she developed and implemented educational programs and support groups for the families and friends of those addicted to alcohol and other drugs. She was a member of the board of directors for Southeast Wyoming Mental Health Center/Peak Wellness for nine years and served as the president of the board for two. She also sat on the advisory board for the Halfway House/Transitions Treatment Program. She joined the DUIVIP Council in 2010. Deanna Hill began speaking at our victim impact panels in 2010. In October of 2013, she was invited to join the Council as our speaker representative. Deanna’s speaking and lobbying against drunk driving began in 2008 after the tragic deaths of her daughter, Brenda, and unborn grandson, Cian, who were killed by a drunk driver. In addition to providing impact statements at Ron Smith’s sentencing and parole board hearings, she has spoken before the Governor, the legislature, legislative committees, and schools. Deanna continues to serve this community by continuing to share her story at our panels as well as drivers education classes in honor of her daughter and grandson. Heather O’Connor is the Communications Trainer for the Wyoming Highway Patrol Communications Center. Her career in law enforcement started with Dispatching for the Wyoming Highway Patrol in 1996 and she promoted to Communications Trainer in October of 2000. Heather currently trains newly hired and tenured dispatchers as well as trooper recruits in radio procedures and computerized law enforcement files. Additionally, Heather trains at the Wyoming Law Enforcement Academy for the WLEA Communications Basic and is the Terminal Agency Coordinator (TAC) for the Wyoming Highway Patrol. Heather has received numerous awards, including two Meritorious Conduct Awards; one for a Trooper involved shooting incident, and one for the Move Over Law. Heather also received the Colonel’s Commendation for the co-Initiation of the Move Over Legislative Bill which was signed and became the Move Over Law for the State of Wyoming in July 2001. Heather is especially proud of the Move Over Law because it provides protection for first responders on Wyoming highways. Heather serves on several community boards and has served on the DUI Victim Impact Panel Board since 2015. Mellissa Walls is the Victim Witness Coordinator at the District Attorney’s Office in Cheyenne. Prior to working for the District Attorney’s Office, she worked for Safehouse Services for 5 years. She is also on the volunteer fire department for Fire District # 5 in Pine Bluffs. In her roll at the District Attorney’s office and as a Volunteer Firewoman she has worked a lot of DUI crashes and feels that the DUI Victim Impact Panel plays an important role in the community. She has been a Board member since 2015.